At the Gaiety Theatre in Simla (later renamed Shimla), she was adopted as their mascot and it is assumed that here started her relationship with acting. At the time Simla on the edge of the Himalayas was the capital of the British Raj and the capital city of Himachal Pradesh in India. The theatre was a place where an amateur dramatics theatre group performed, and the toast of society there would come to enjoy the productions. Later she moved to England in 1946, just before the end of the British Raj and worked for a while at a clerical job with the BBC's listener research department. A producer noticed her performance with the BBC Staff Amateur Company where they did plays for their own fun, she was then sent to LAMDA, the London Academy of Music and Dramatic Art, winning a scholarship and remained there for two and a half terms. It’s also known that in 1948 she took on a role in a production by the Tavistock Little Theatre that went on for three nights. 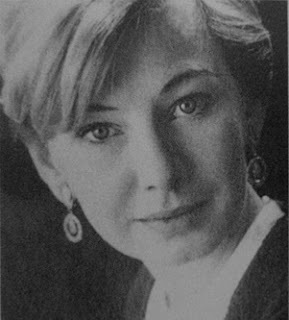 She joined the Birmingham Repertory Theatre for two years, ending with the role Lady Grey in Henry VI Part III at the Old Vic, and at London's Arts Theatre she played Sybil Merton in Lord Arthur Savile's Crime. She returned to Birmingham to play David in The Boy David, then returned to London at the Central School of Speech and Drama's Embassy Theatre for Ophelia in Hamlet and Olivia in Twelfth Night. A small part in the film The Large Rope (1953) and a tour of Angels in Love came before she joined the Bristol Old Vic, which led to a breakthrough when a special non singing juvenile role was written for her in the stage musical Salad Days. She came with the original cast to London in 1954 and stayed with it for two and a half years which led to further film, radio and TV work. as a feature of NET Drama Festival. 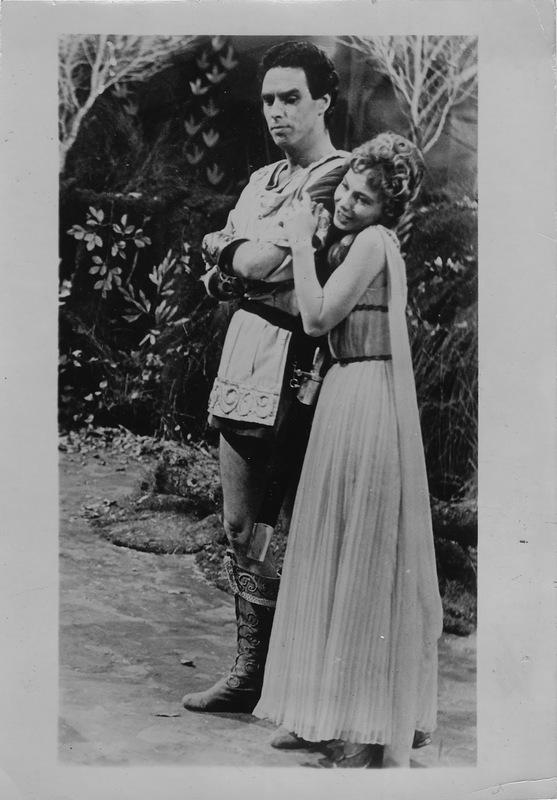 Her Shakespearian acting led her to a role as the petite Hermia in a TV screen presentation of "A Midsummer Night's Dream", directed by Rudolph Cartier. One viewer who remembered her in the play thought that she look like Audrey Hepburn. Rudolph later that year went onto direct the sci-fi horror TV series, Quatermass And The Pit, and since he remembered her performance from the play he gave her major big break playing Barbara Judd in the TV series bringing her to become a well known face is one of Great Britain's most talked about TV series in history, and since then made appearances on the small screen in a number of episodes of various series and numerous plays. Another TV series in which she has role as next door neighbour Nora in the Richard Briars comedy series Marriage Lines, before her character was written out after a year, Nora finally managed to move somewhere more upmarket. Some may have noticed that her role in Quatermass And The Pit was quite physical demanding, and in one scene she appeared to be physically hit to have her knocked out before she fell to the floor. Later in that 1959, Cecil Beaton the famed photographer and costume designer who had photographed and dressed the likes of Audrey Hepburn came to know Christine through his play "Landscape with figure" she played one where of the daughters of the painter Gainsborough. For the purpose of the role she was also slapped on the face by the actress playing her mother, as a cure for hysteria. However the lead actor Sir Donald Wolfit had grabbed her by the arm so tightly that she was actually bruised, which enraged Cecil Beaton very much. The Daily Express mentioned that Cecil, quite well known for put down remarks towards the faces of some of the most well known actresses, complimented Christine saying that her face was “remarkable, the sort that travels well and gets the gallery” however he complained that as a photographer he could never do her justice. Her engagement with her husband to be was announced in the Times newspaper at the end of 1960 when her parents lived in Pinner. At some point in her career, she became a client of St James Management run by Irene Z. Dawkins, then to be found in St James Place in Mayfair. 1961 was a year of her marriage to a London businessman, and somewhere since then, as the Daily Express reported, from an interview with her, she had a child and her husband suffered a serious car accident which forced her into what was considered an early retirement to look after both and then she returned to the stage in late 1963 for The Gentle Avalanche. The following year, she was in one play “Woman in a dressing gown” and her last known stage appearance was in 1965, a play called The Circle, and then nothing more. It was the following year in 1965 that she joined the Thunderbirds TV series voice cast until the following year. She had become accepted as a voice actress because of her work in the much loved TV children's sci-fi series , providing the voice for Tin-Tin Kyrano amongst others. Some may take notice of Tin-Tin Kyrano's face and see the resemblance between that and the face of Christine Finn, which is not totally surprising since the face of the character Lady Penelope in that series was based on the Sylvia Anderson who provided that character’s voice. From 1967 onwards restricted herself to occasional TV programs and radio plays often with the voice actor Peter Tuddenham known for his voice work in sci-fi TV series' Blake's Seven as Orac and Zen. Her known film career amounted to nothing more than a few bit parts in her earlier years, in such movies as Value for Money, The Large Rope and The Romantic Age, the last two at present can only be bought on videotape and neither are known to be destined for DVD release any time soon. Although she performed the live TV series "Quatermass And The Pit" and became a well known face, she didn't receive the interests of the Hammer Film Bosses when they came to make the cinema version of “Quatermass And The Pit" a decade later, they chose Barbara Shelley who was much taller and more in line with the Hammer films image. Nigel Kneale the writer of the Quatermass series felt that her performance as Barbara Judd was better than Barbara Shelley's, which can be understood with her background as a Shakespearian actress. Some viewers have also acknowledged that in the role, she was very cute too. At present, I have found no record of her work 1974 onwards , in fact very little is known about her life at all that I have found apart from one interview in Plays and Players and a couple of short biographies in play pamphlets. If one is looking for her name in the appendix of biographies, one will find many people wanting to talk about their encounters with Albert Finney but alas, hardly a single word about Miss Finn. surprise that I have found as much as I have written about her on the internet especially with the likes of Sylvia Anderson mentioning almost nothing about her in her book "Yes M' Lady" other than she was amongst the cast and described her as lovely. Shane Rimmer in his autobiography “From Thunderbirds to Pterodactyls: My Autobiography” mentioned her name only once as he listed the cast members of the Thunderbirds voice acting team. There was a brief mention of her name in a recent Prunella Scales biography just because of her work in Marriage Lines. Nicholas Parsons talks about his work on “Night Train To Surbiton”, a TV series in which Miss Finn had a main role, but Nicholas dissatisfied with the series made no reference to her in his autobiography "The Straight Man: My Life in Comedy", in fact he never got around to a single mention of her, just as David Hemming with his own autobiography "Blow Up... and Other Exaggerations: The Autobiography of David Hemmings " which briefly mentions his work in the play "Woman in a dressing gown” but not a single word about her. Sylvia Anderson made no mention of her in the recent book "My Fab Years! ", but in another book there is a group photograph of the people involved in the production of Thunderbirds and Miss Finn can be noticed amongst the people sitting down. And I'm very thankful that Nigel Kneale briefly mentioned about how she was better in her Barbara Judd role than the actress who played the role in the movie just to contribute to the illusion something could indeed be said about her and that Cecil Beaton was able to say a good word about her too and document the matter about Sir Donald Wolfit’s brutality towards Christine. Christine Finn is said to have passed away on December 5th, 2007. I don’t know what to make of it, there has been nothing to oppose this information but I have no online newspaper obituaries to back this up nor anything that will satisfy the masses who want something solid. For a start there has been nothing in the obituary section for the online Times newspaper and nothing in the online version of The Stage newspaper. 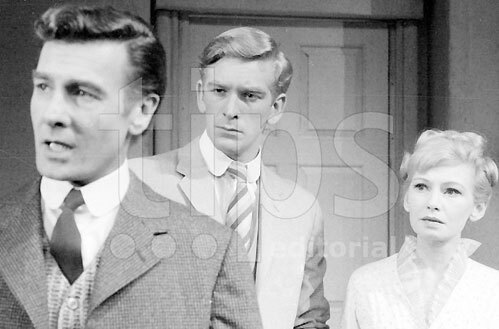 So that would be the within six months after her former fellow radio performer Peter Tuddenham died and the year following the death of Nigel Kneale who wrote "Quatermass And The Pit" which can be said to have been Christine's screen big break. EINSIDERS.COM have come to understand that Miss Finn, according to the Times’ Births, Marriages and Deaths section, passed on at the given date at the age of 78 years. Still however, this death report , if it was published in the paper has been completely overlooked by the news and entertainments industry. It has also been reported that in an issue of the Equity journal from possibly Summer 2009, the obituaries mentioned the death of Christine Finn. And as we head through 2013, time caught up, the Times Newspaper archive was updated to include 2007 and so this included the death announcements as published on 13th December 2007. Christine Finn aged 78 had died on the 5th of December of that year, it is mentioned that she was an actress and the names of Christine's husband and two daughters are given along with the number of her grandchildren equaling five. Her funeral mass was held on the 14th of December at the The Friary in Sample Lane in Chilworth. Any further information about Christine Finn such as even the colour of her eyes, would be warmly appreciated even if it will be treated with the greatest suspicion! Well, at 78 it is more than likely that she has passed on. We all do. Suffice to say, that, after having seen Quatermass And The Pit I have been smitten by her amazing beauty (sort of like a blonde Audrey Hepburn, but I actually prefer Christine) and considering the longevity of Quatermass And the Pit, it's fanbase solid, Christine Finn is anything BUT forgotten. She was, is and will remain a strong presence in anything she did. Just to say I loved her in "Quatermass" and that it was a shame that she didn't appear in the film version. A very good actress, with a lovely elfin look. Thankyou both for your comments. That strange world of India before the end of the Raj is something that haunts me a little, and the idea of her connection with the Gaiety Theatre in Simla. I almost have a propensity to not try to talk about her it's almost as if it's none of my business or the internet's for that matter, despite the fact that I have put together this blog. I sometimes wonder who she might have been related to and who both her parents were, and what life was like in England for her too and thankyou Maureen, I'm a bit late, it's good to know that you exist somewhere as the daughter of one of her cousins. And Dale, I'll be forever thankful for her elfin appearance, and to wonder what might have been if Hammer films had shown some interest in her. Many thanks! Dominic. Yes, she was a lovely girl. You often wonder what became of those people who should have left a more indelible mark on things than seems to be the case. I always like to think that she's somehow behind the scenes perhaps in the collective thinking of the Sci-Fi world and still shows up in a odd ways such as through casting choices that makes her seem like Great Britain's secret weapon still impacting people's lives perhaps without them realising. Perhaps this website has helped in some ways in the 21st Century. However it's a pity that she never made a visible appearance in something like the Avengers or one of these often repeated old cult television series, and that many of her TV performances have been erased. I wish that someone did an article about her for "The Chap" magazine and put her on the front cover. Being famous as a voice in Thunderbirds is something that's probably helped to keep her immortalized but in a way that's beneath the surface. However in that series we only saw a puppet with some facial similarity to her. Really cool you made this. I'm American, and Quatermass was staged/filmed before I was born. When I finally first saw the films a few years ago, I was stunned how good-- thrilling-- they were. Quatermass and the Pit is best of all. Both Andre Morell (the best Q of all, imo) and Christine are a big reason for that. Everyone is good, but these two jump off the screen. Tried to find info about her, and was really disappointed how little was available. Christine deserves better.